Miracle Resources > Brand+Team=Revenue > Get What You Want!!! Do you want a promotion, a new client or to know what career is best for you? You want to live to your desired level of success, but you feel like you have to constantly brag &amp; push to make it happen, so let me ask you, Do you hate shameless self- promotion? We do too! In a world where it seems you have to scream the loudest to be heard, we say… stop the insanity!!! You have to know yourself and your god given talents to be able to communicate and showcase your value proposition. Do you feel overwhelmed by marketing and the social media concept of fear of missing out? This fear of missing out leads to feeling you are not doing enough to promote yourself or if you are promoting you wonder why you are not seeing results. 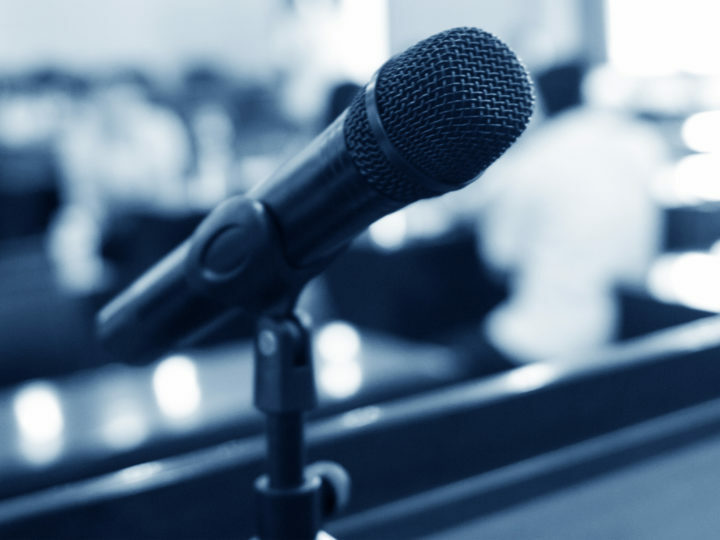 Strategic personal branding provides the truth you need to promote. Remember, it’s not the quantity, it is the quality of the content marketing you share. Our plan and process helps you stay true to your values and talents. This story proves the truth… A person who is very popular on social media and has tons of followers and contacts continues to promise and under deliver. No matter the amount of contacts or the amount of posts, tweets and shares, this person will not get the contracts, clients, promotions and the success they desire. 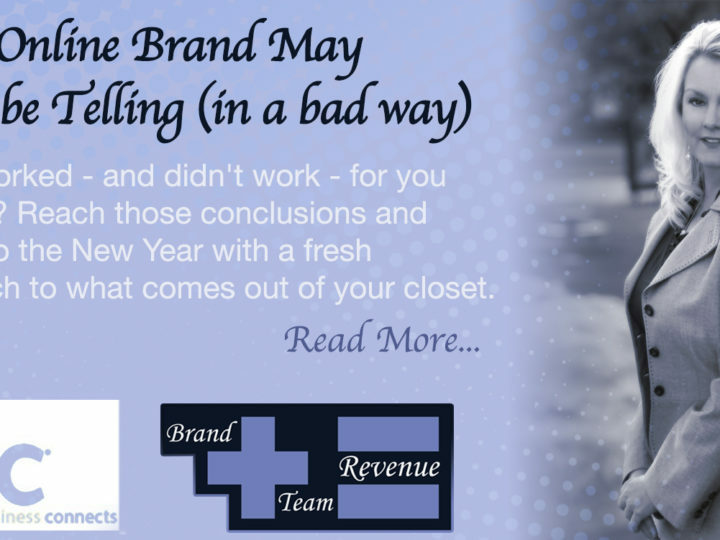 The solution is Strategic Personal Branding, our process creates the best version of yourself and helps put a process in place to create value for your employers, clients and all relationships. The process has a plan to connect you to the right people who help you achieve your goals. Strategic personal branding lets you stop comparing and lets you communicate in the way that is true to you and that you are comfortable with. Our process helps you reach the people that can give you contracts, promotions, clients and help you find your dream job. 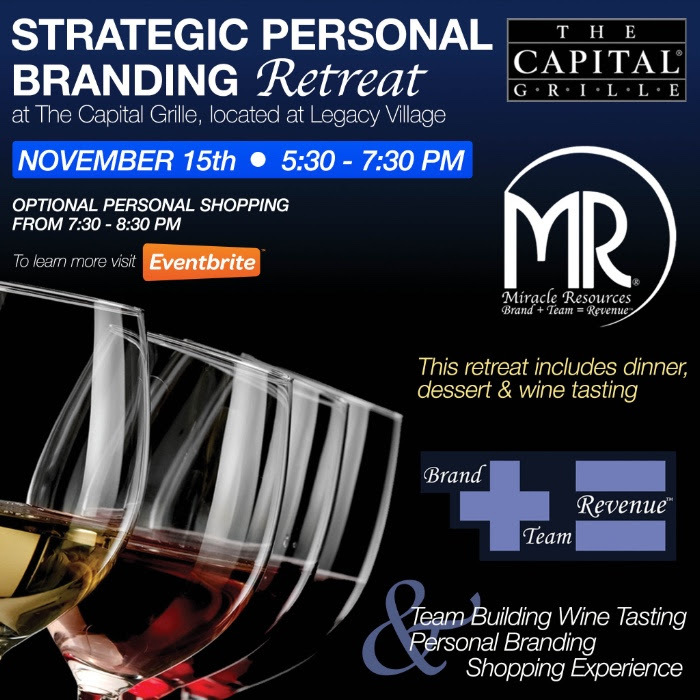 November 15 th to create Your Strategic Personal Brand! Brand + Team =Revenue We are the future of Training! Katherine Miracle, MBA is the CEO and Founder of Miracle Resources, an award-winning full-service marketing, public relations and training firm that helps clients increase revenue and awareness. Katherine is the founder of Brand+ Team =Revenue a national program with 53 trainers that cover America to build brands, team and revenue through interactive training and unique team building experiences! Katherine is an author and national speaker who has helped fortune 500 companies, start up’s, colleges and hospitals! Her life’s work is to help people and team use branding to build strong teams that increase revenue. Please connect with her via email or Twitter.